Help us lead a tech revolution for wildlife! Global wildlife is in decline and new solutions are needed to combat threats such as climate change and recent increases in illegal wildlife trade. From satellite enabled cameras to new software for the reporting of illegal wildlife trade, technology can help protect the future of our natural world. Camera traps. A wildlife camera trap is a camera that is set up in such a way that any approaching animal will automatically trigger the capture of photos or video sequences. These are used to help to understand species’ habitats, distribution and behaviour. Satellite controlled cameras. Instant Detect (ID) is a camera trap system that uses satellite technology so captured images can be sent in real-time from virtually anywhere in the world. It is being used to help tackle poaching of endangered species by providing an early warning system for rangers, in addition to remote wildlife monitoring. Animal tracking devices. Radio collars and tracking devices help us to understand animal behaviour and movement patterns. Developing new anti-poaching Monitoring and Reporting tools. As those involved in the illegal capture and trade in wildlife become increasingly sophisticated, new tools are needed to combat the illegal killing of animals. You will receive a Champion pack, which includes project case studies, tips for championing wildlife every day, badges, postcards and a fold-up penguin friend! 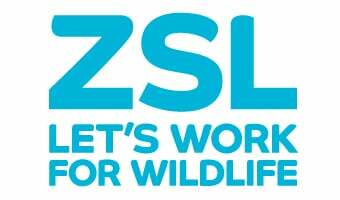 You will also receive a ZSL Wild About magazine three times a year and regular email updates on your chosen area. INSTANT UNDERSTANDING, IT’S IN YOUR HANDS! At the forefront of Conservation Technology is the use of camera traps, which automatically take images or video sequences when an animal approaches. ZSL’s Instant Wild app and website provide the public with an opportunity to view images from our own cameras and even help us identify species. Traditionally cameras traps have relied on mobile networks or physical collection of the memory cards from cameras; methods which have proved difficult in places which are hard to access year-round or have limited GSM coverage. With support from Google, ZSL has overcome this problem by the development of the first satellite enabled camera traps. Instant Detect is a satellite-enabled camera trap system that is used as an alerting system for wildlife rangers, supporting anti-poaching projects and monitoring wildlife in extremely remote locations.